NEW YORK—For the first time, the NTD Television International Figure Painting Competition, which got its start as a platform for artists of Chinese descent, has welcomed contestants of all ethnic backgrounds. This year, 100 artists from 18 countries submitted more than 160 paintings. Of those, 50 works have been selected for the final exhibit, which will take place Dec. 2–7 at 4 W. 43rd St. in Manhattan. Competition winners will be announced at the opening ceremony on Dec. 2 at 6 p.m. The competition’s mission is to promote cultural exchange and the art of figure painting using classical Western realistic methods. By focusing on the human figure, the competition encourages artists to portray the human spirit. We interviewed six of the finalists to get their thoughts on art and creativity. Epoch Times: What’s the story behind your selected piece, “Allegra’s Portrait as Ballerina”? 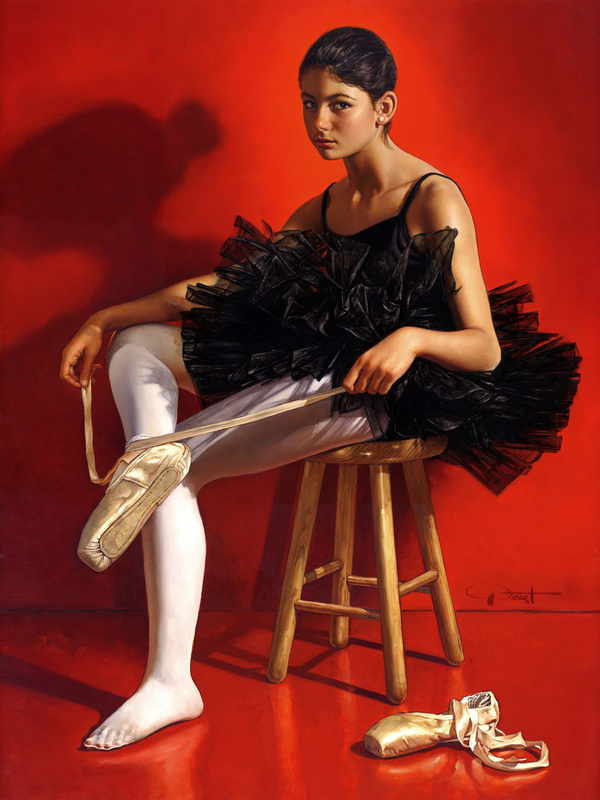 Gabriel Picart: This painting is a portrait of my daughter Allegra at age 13, two years ago, dressed in a ballet costume. “Allegra’s Portrait as Ballerina” is one of my favorite paintings ever. 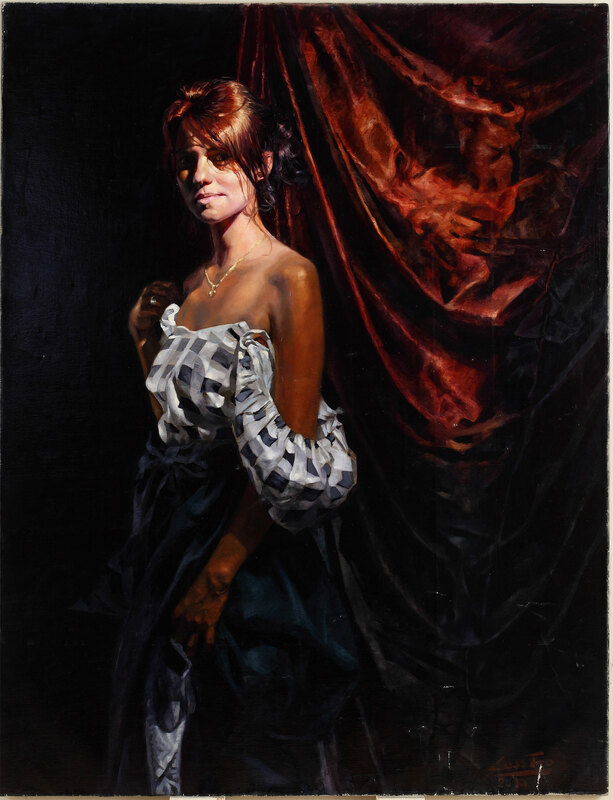 It is a classical portrait at the same time that it is extremely bold in concept, a very simple composition with a few powerful hues dominating it all, mainly black and red. Ballet dancers are a subject largely depicted in European pictorial art, and I felt like making my contribution, taking advantage of my daughter’s taking ballet lessons at that time. Epoch Times: Which three artists do you most aspire to, and why? 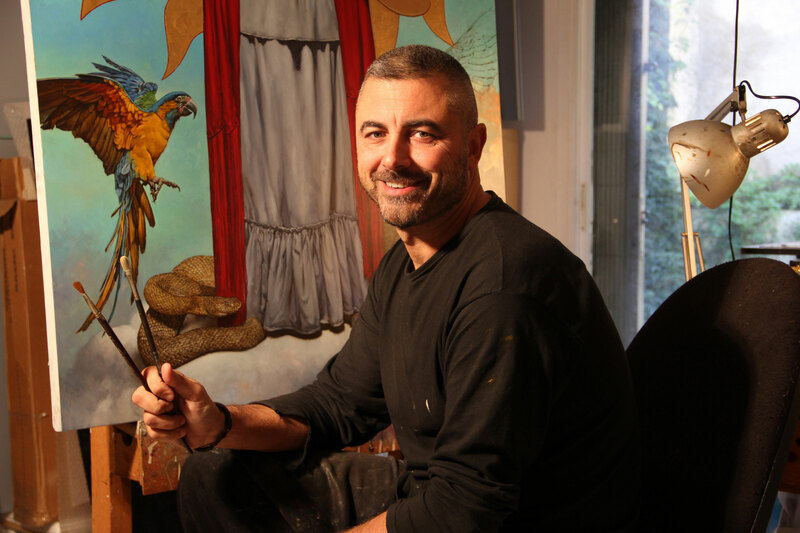 Mr. Picart: I admire many artists, and for many different reasons. French painter William-Adolphe Bouguereau for his technique, much in particular on the skin tones; Spanish Baroque painter Diego Velázquez for his magic, for the subjects on his portraits seem to be alive; Austrian symbolist painter Gustav Klimt for his amazing eclecticism; Mexican painter Frida Kahlo for her passion for painting; American illustrator Norman Rockwell for the way he depicted everyday life and communicated with the viewer; and Maxfield Parrish for his masterly use of color … I cannot select just three, when there are so many to aspire to! Epoch Times: You used to work with advertising agencies and graphic design firms. How do you think this experience translates into your portraiture? Mr. Picart: That’s right. Before 1996, I worked for advertising agencies and graphic design firms. But much in particular I did for all the major publishing houses in America and Canada, such as Reader’s Digest, Bantam Books, Dell Publishing, Harlequin, Pocket Books, Scholastic, among others, doing book covers. And I always did in a representational mode with a fine-art treatment. I chose to master the use of oils in creating my illustrations, in contrast to some of the faster and easier mediums and techniques available, always with the goal in mind of parlaying this technical acumen into the painting of fine art. It was an excellent training. The demands of commercial art are at times almost superhuman because the challenges are both technical and aesthetic. Besides being able to draw, render, and paint, an illustrator must be able to communicate directly to the viewer. Epoch Times: You tend to like red backgrounds—why this choice? Mr. Picart: Red is the king of colors, if I may say so. In Western culture, it is associated with passion. In China, it is associated with happiness. I was born in Barcelona, where I still live, and red is closely related to my own culture. Spanish and Chinese cultures share their devotion to the color red, and they are the ones that have best applied it to the visual arts and décor. I have not noticed other painters using a flat red background, certainly not the way I do. To me, it presented a big challenge: A powerful red background affects all in the painting; everything else must be painted accordingly to balance its powerful visual influence, such as the skin tones, which must have some more green. Epoch Times: What is the chief thing you try to accomplish when painting from life? Mr. Picart: My answer may seem a joke, but it is not: I intend to make art—that simple. Obviously this requires an explanation. “Art” for me is the transmutation of something onto an upper level; it is an alchemist process. When we look at the famous portrait of Pope Innocent X by Diego Velázquez, we do not see a painting. We don’t see color pigments, although brushstrokes can be clearly perceived. We see a Pope watching us severely. This is what I mean. When I make a painting, my main goal is make the viewer believe that what he or she sees is not a painting, but a real person watching him or her; or a landscape that the viewer can jump into it; or an apple or tomato that he or she can take and eat. And I try to achieve this by painting realistically, but not photographically. LESSTRO: Agnes used to work as a leader of refurbishing team and was facing many life problems. The first time I saw her, I immediately decided that I should paint her. Instead of old jeans, I saw her in my imagination wearing a beautiful baroque dress, surrounded with abundance of draperies. I wanted this girl to forget her problems and feel like a lady. And so it was. By posing during photo session in this baroque dress, she separated herself from the troubles, and I captured the moment when she was happy. 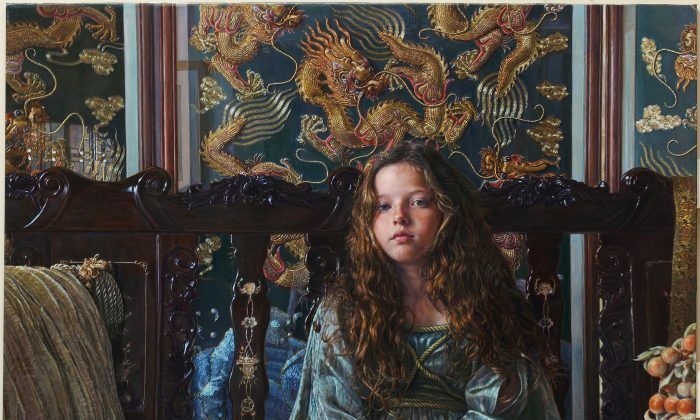 And I am happy that her portrait was selected as finalist of such prestigious, worldwide painting competition. 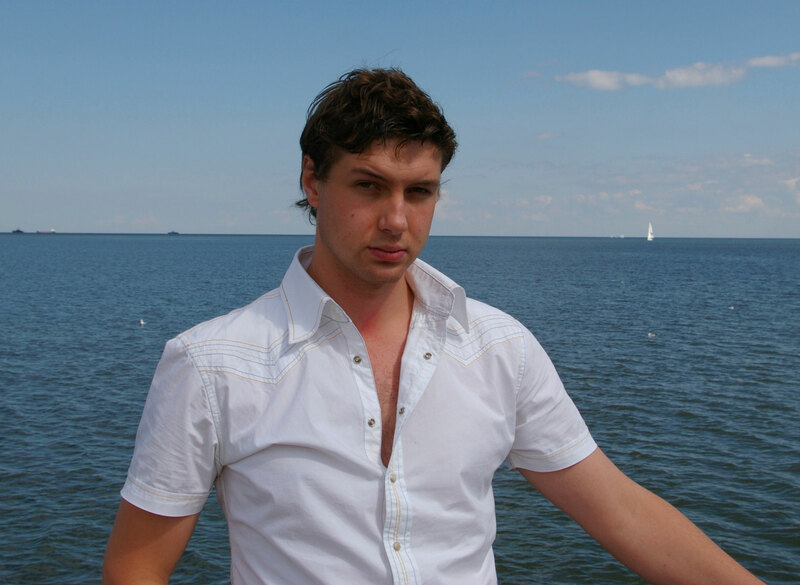 Epoch Times: At age 30, you might be one of the youngest painters in this year’s competition. Where do you see yourself in 5 years? LESSTRO: I would like my pen name LESSTRO to be recognizable as classical, realist painter all over the world. When people are fed up with so-called pieces of art, they return to classics. The most important art critic is the audience, which doesn’t need manuals to perceive art and which is led by its own intuition and impressions. And it is the audience, regardless the dissent of “art connoisseurs” who put its support on traditional artists, who appreciate and exploit the experiences from the past ages of art history, fortifying them with their own feelings and visions. As one of such artists, in five years I would like to paint large-scale historical paintings, being exhibited all over the world. Epoch Times: How do you qualify a successful portrait? LESSTRO: A well-executed portrait is expected to show a flattering representation of the model and should capture inner essence of the subject, not just literal likeness. These things are obvious. However, I think that it is not enough. There should also be an aura of mystery in a really successful portrait. Human beings are the best subject of art. Every single person is unique; everybody carries deeply hidden emotions, memories, and dreams; and the artist’s task is not to reveal everything, but to keep the human being mysterious and provoke reflection. Epoch Times: Which three artists do you most aspire to and why? LESSTRO: Even though it is still a bold artistic decision, I create very classical art pieces, hoping to build a new movement of European, contemporary art modeling itself after Dutch, Flemish, Spanish, and Italian schools. Three great old masters to whom I most aspire are Rembrandt, Vermeer, and Velázquez. I admire Rembrandt mostly for his great chiaroscuro (light and shadow), block intuition, and expression. Vermeer had in my opinion the best color palette, and Velázquez was unique and perfect as regards to free brush strokes. Epoch Times: What is the most important skill you think a realist artist should have? Which are the most difficult to attain? LESSTRO: Nowadays art became banal, and artists are dealing more with sociology than with art. Realist painting became monkeyish and the human being—as the subject of art—has been degraded. I think, that apart from standard skills such as chiaroscuro, block intuition, proportions, and feeling colors, realist artists should have great powers of observation. However, the most important and most difficult is to create his own style, being recognizable among other painters, and staying true to himself. To escape from the banal, dominating photorealism is a great challenge for the contemporary realist painter.